Air fryers have become the most favorite cooking appliance in Korea, preferred over traditional microwave or electric ovens. 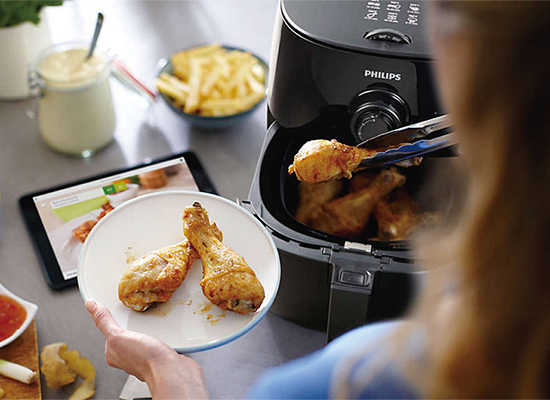 According to Korea’s online auction company Auction on Thursday, air fryer sales shot up to take up a 38 percent share in the cooking appliance market last year. It outperformed microwave ovens with 33 percent, electric grills 19 percent, and electric ovens 10 percent. It was the first time air fryers sold more than microwaves and electric ovens in Korea. Air fryer share has steadily increased from 2 percent in 2018 to 4 percent in 2015, 5 percent in 2016, and 18 percent in 2017. Microwaves that have long dominated the market were on the downturn. Its share that peaked at 54 percent in 2016 fell to 44 percent in 2017. Electric gill and oven shares also dropped.